To take a slice of something is the cut through a surface or skin and expose a new perception of space, time and internal structure. When initially working with the brief of ‘slice’, it led to exploration of post-war modernism and Ivan Ctchelglov complaint with Le Cobusiers idealised plans of conceptualised cities, which were sliced apart by separating each function into different sectors. Cobusiers’ ideal city was abstractly inspired by the arrangement and functions of the human body. His designs worked like a living organism of organised parts that would work together as a whole. By shifting the angle of architectural sites, I have been able to scratch away at the layers of situated knowledge; being the surface and its micro-organisms, and the use-value of this cultivated material. I decided to experiment with motion of slicing, which led me to the contamination of bacterial information and exposure when slicing through material. Bacteria thrives in all spaces, both the ones created in the anthropocene and the natural world, and covers every surface on the planet. That includes the external surfaces on the human body, as well as every internal surface. Bacteria-powered organisms live in symbiosis everywhere; we grow together. By swabbing the surface material, and placing it on nutrient agar, I have been able to encourage the growth of fungi and bacteria in a separate location from the site. By scaling down living organisms and letting them grow in their colonies, they create beautiful, irregular petri dishes full of colourful bacteria. Each visually different bacteria on the dish is a different species which has been excavated from one swab of a specific site, 315 West George Street, Glasgow. Images of the collected bacteria on Petri dishes. I placed bacteria under a 100x microscope to understand shapes and movement of the bacteria, and gain an understanding of whether the bacteria was parasitic or symbiotic, with the use of gram stains. After receiving two-dimensional images, I challenged the project with re-materialising the bacteria in order to speculate a creative spatial design. 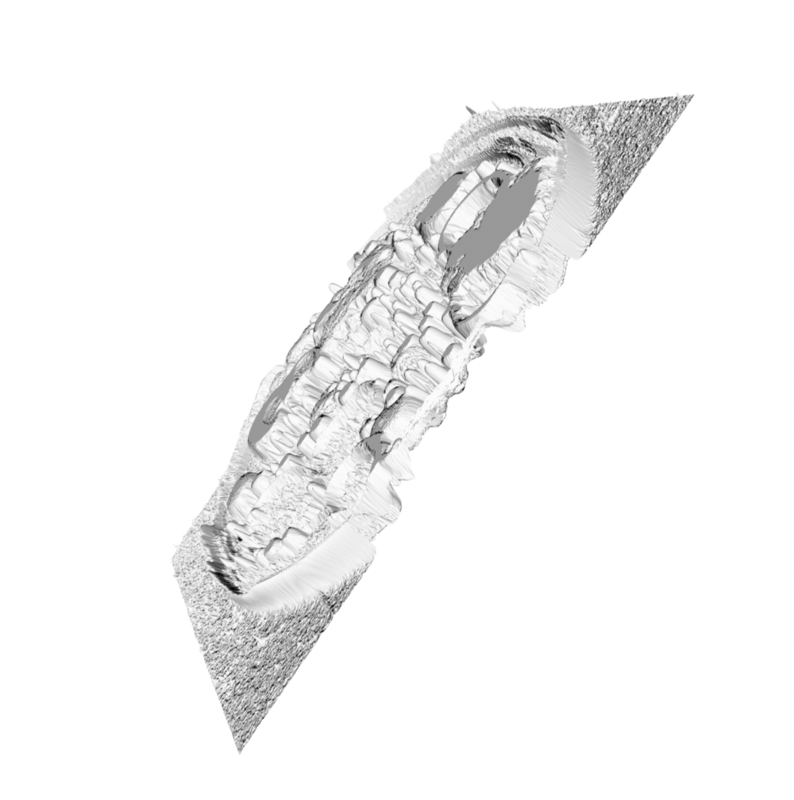 I created height maps taken from my growing petri dishes and surface of the site. Height maps create 3D images, which could be used to inform the terrain. 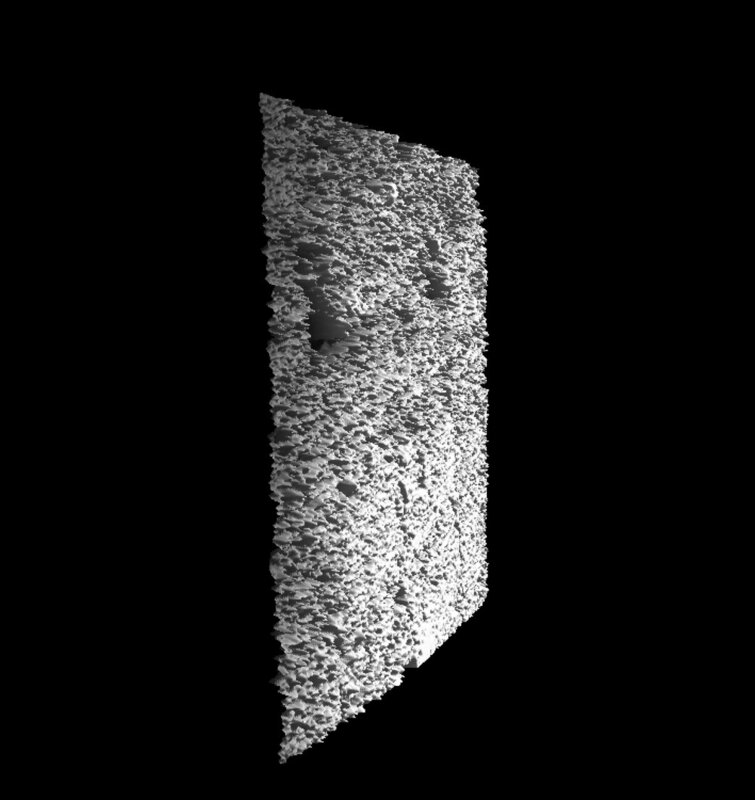 Capturing the bacteria in the space, and then transforming it into height maps creates an 3D world with intricate surfaces with caverns and spaces which are saturated with light and shadows. If these dark spaces were physical, they would be the ideal breeding ground for bacteria to grow, creating small entropic ecosystems and a predicted rhythm of growth. By slicing the surface and its microorganisms apart, you can see the surface according to its micro information; creating heavily textured surfaces and the opportunity to view the surface from a new dimension - one that gives you the experience of being inside, or in between the layers. By importing the 3D files into SketchUp, it glitches and creates a mesh of geometric bumps and lines, defining a contoured space. This mesh forms an infrastructure of warp and weft lines, creating a weave which informs possible re-materialisation of computer generated images. After creating these two-dimensional images, I challenged myself with re-materialising the bacteria in order to speculate a creative spatial design, which lead me to the growth of bacterial cellulose.